Ocean View Delaware Real Estate for sale - Delaware Beach Real Estate. Displayed below is an index of available Ocean View Real Estate Properties currently offered for sale. Click on the property photo or the address for each individual Ocean View Delaware property full details, satellite map of the location and all amenities. For a more detailed & refined search of all Ocean View Real Estate Properties on the Multiple Listing Service (MLS) consider using the detailed search page located here: "Detailed Real Estate Properties search." Coastal living at its best! Fabulous Bay Front 8,000 sq. foot 2 story home located on Indian River Bay, amazing views. 4 bedrooms, could be 6, has 5.5 baths, glass wall 2 story living room over looking the bay, huge kitchen with large eating area surrounded with glass, formal dining room, family room, office, game room with pool table w/full bath kitchenette. 3 car garage with elevator to all floors. Home has 3 gas fireplaces, 1 in the large master bedroom with sitting area and roof top deck overlooking the Indian River Bay. Attention Developers -- 36 fully approved condominium units in Cedar Bay community on Cedar Neck Road in Ocean View. All sitework, entrance, stormwater management and amenities are already complete. Cheer Center with senior services is located in the community. Community is a 55+ community. Building plans are complete for 3-story, elevator building similar to the two existing buildings in the community. Existing buildings are sold-out. To-be-built building #3 includes 24 2-bedroom units and 12 3-bedroom units. Site plan attached. Building plans are available. 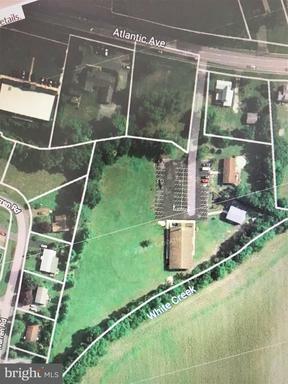 Commercial Opportunity - 4.6 acres in high growth area. Town zoning allows multiple permitted uses. Public central sewer, multiple buildings and central location near the new hospital make this unique property highly desirable! COASTAL ELEGANCE at it's best on a premium WATERFRONT lot. Enjoy spectacular water and sunset views from the multiple decks of this pristine, professionally decorated 3 story light filled home, featuring an elevator for convenience. Step onto your boat from your private dock just steps off the main level deck to explore the bay. This nearly new 4 Bedroom, 4 1/2 Bath, energy efficient home features extensive upgrades throughout. Located in a Maintenance Free Community only a short drive to the Beach! Community features a pool, clubhouse, fishing / crabbing pier and a boat ramp! Interior features include a gourmet kitchen, living room fireplace, maximum view sliders, custom window treatments, alarm system, sound system, central vacuum and remote controlled awning and the list goes on! Furnishings are negotiable. Call today for your private tour! Does your must have list include: Serenity, Peace, Tranquility, Nature, unobstructed water views, Quality Construction, Immaculate Condition, little to no yard work, and much more? If so, you must see this spectacular home which is unlike any other in the community of Bethany at White Creek!!! Owners completely transformed this 4 Bedroom, 3 1/2 Bathroom home from a Toll Brothers model into a spectacular 4,400+/- sq ft custom home with breathtaking views. Enjoy the abundance of outdoor space at one of these options: covered front porch, huge rear deck with gas fire-pit, covered pavered patio, pavered sitting area with wood fire-pit. 2 car garage and attached storage shed. Professionally landscaped with irrigation system and irrigation well. Well established community with clubhouse, fitness center, pool, tennis court, sport court, nature trail with gazebo, day dock w/kayak launch, and provides yard maintenance within HOA fees. This highly visible property is located on Route 26, which is a direct corridor to our resort beaches. The possibility exists to be rezoned for commercial or mixed use. It has 360' plus of road frontage and is 800' deep. A total of over 5.7 acres which is a large parcel on Route 26. The structure that exists need to be removed as per the seller as it is beyond repair. BOATER's DREAM! Imagine a home on the water where you literally go from the house, to your deck, to your private dock and onto your boat! This beautiful waterfront home offers 5 decks, tranquil water views of the Assawoman Canal and White's Creek. 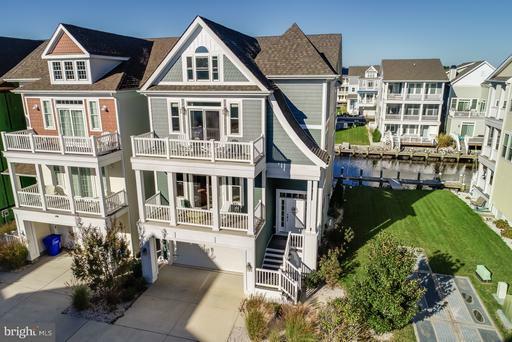 Easy access to everything you need at the beach and just a short bike ride to Bethany beach. 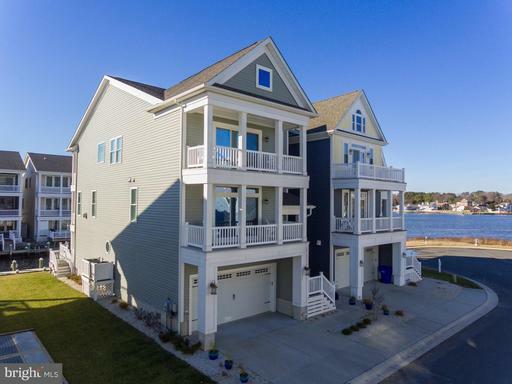 Upgrades throughout including hardwoods, custom kitchen/great room, with oversized floor to ceiling doors overlooking the water with a screened in porch. Third level Master bedroom has a wet bar/refrigerator and beautiful water views and deck for your morning coffee. Features include a spacious recreation/den area on the ground level with a custom bar with refrigerator, sink, ice maker and dish washer. Relax while enjoying fabulous sunsets on your waterfront deck. Elevator ready and located across the street from the pool, clubhouse and boat launch. A must see. Welcome to 38316 Canal Street in the amenity rich Sunset Harbour community. This superb Ocean View, Delaware location is situated just minutes to downtown Bethany Beach, some of Delaware's most gorgeous beaches, the James Farm Ecological Preserve and Delaware's Fresh Pond. There is so much to do, just steps from this exquisite property making this location ideal for outdoor enthusiasts! Built by Schell Brothers ~ this Athena Model features 3 level living at its finest complete with 4 Bedrooms, 3 Full Baths and 2 Half Baths. 38316 Canal Street's entry level features a 2-car garage, half bath, a spacious rec room, and ample storage. The second level features an open plan featuring a kitchen with an enormous breakfast bar, granite counters, stainless steel appliances including a gas cooktop and wall oven, superb cabinet space and dual pantries too! The kitchen area is open to both the dining area and great room which offers a warming gas fireplace surrounded by custom built-ins and a bar area complete with wine storage and backlit glass cabinets too. This level also features a half bath and a bedroom with an en-suite bath. The top level houses the master suite complete with a sitting room and en-suite bath, complete with a soaking tub. This level also houses the laundry room and 2 guest bedrooms adjoined by a shared bath. Almost every bedroom and living space in this home leads to an outdoor porch and / or balcony offering the ideal space for complete relaxation while taking in views of the canal and bay. Those that love to boat, kayak or paddle board will love the idea of keeping all of their toys at their personal slip located directly behind the home. With a private boat slip, direct water access, clubhouse and swimming pool too, this home and community leave little to be desired!